If you love photographs and you want to see something different in the first capital of Italy, you can’t miss Henri Cartier-Bresson Photographe. It is a very interesting exhibition where you can admire more than a hundred black and white pictures shot by the French artist during his career, between the early 30’s and the end of the 70’s. You can immediately understand the genius inside the man: Bresson captured a lot of historical and social events, because he was interested in showing the everyday life of ordinary people, such as a prostitute smiling in the street, or happy children playing together. According to Bresson, stolen shots were the only way to have people be spontaneous, communicating better the real essence of life: in fact, the beauty of a photograph lies in the moment when it’s taken. Always in the right place at the right time, he also photographed some historical important events, such as the political demonstrations in Paris in the 50’s, or Gandhi’s funeral in India. He wanted to wait for the right moment when to take his pictures, that is why his nickname was “the patient photographer”. He also had a very precise geometry mixed with the light in his works, and the harmony of these elements is one of the first things people notice in his shots. 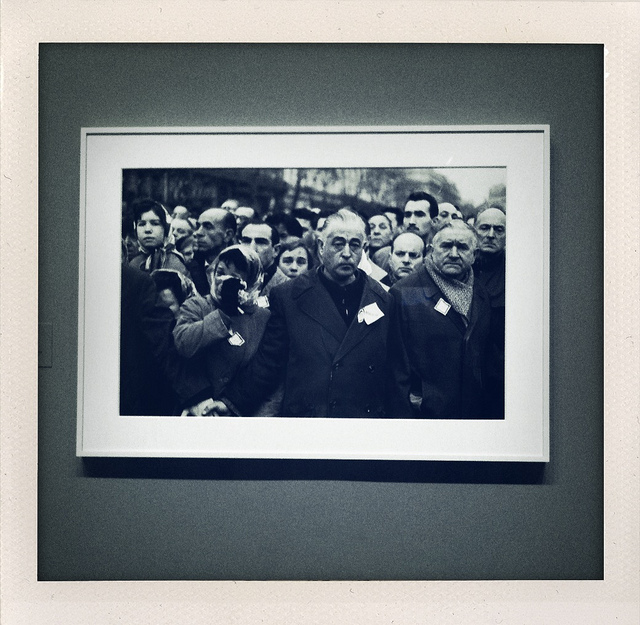 Cartier-Bresson has never been satisfied of his photos and he kepts saying that the next one was going to be his best one. At least he reached his goal, and this is something only few photographers have done. The exhibition, hosted in Palazzo Reale, will be open until June 24. It is organized by Silvana Editoriale under the patronage of the Municipality of Turin and the collaboration between the Foundation Henri Cartier-Bresson and Magnum Photos, the photo agency Bresson founded in 1947.